UPDATE: USPS is back up and available to choose as an shipping option! TGIF Mix Family! ughhhh, I am stuck on the order page, hit place order 4 times already and it is just sitting there. Have a great Holiday Weekend everyone! Our Memorial Day Sale is good until Tuesday! If interested, we have another variant of our Memorial Day giveaway going on our Facebook Page … a Mystery Prize! 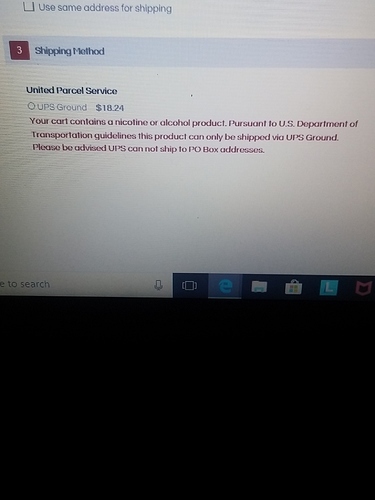 do you guy NOT do free shipping if the purchase contains 100mgml nicotine ??? I hope you get a response, but I think everything above 48mg ships ground and get charged different by different vendors unfortunately not many offer free shipping above the 48mg hope you get it sorted out.